I went on the recent trip to Wales with a couple of specific items in mind to measure up and evaluate for potential Narrow Planet kits. As is often the case I came back with more than I bargained for. 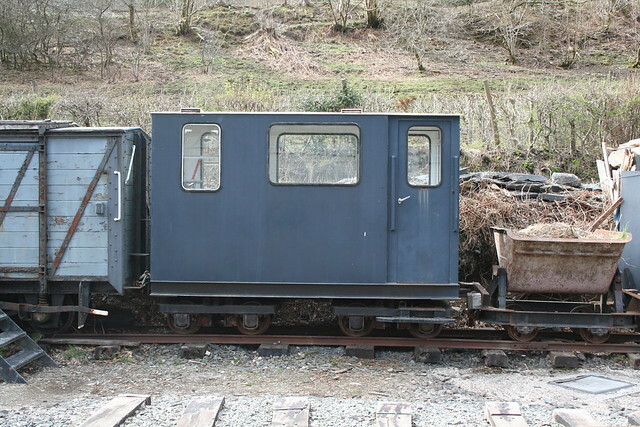 This utilitarian box, pictured at the Corris Railway at Maespoeth, is one of the crew vans built for RNAD Broughton Moor by Hudson in the mid 1980s. Perhaps not the most charming of narrow gauge vehicles, but a good companion for the Baguley-Drewry and it appeals to my industrial sensibilities. It was kind of on the radar before the trip, but a close up examination revealed how modellable it was. And this is where I’m up to 009. 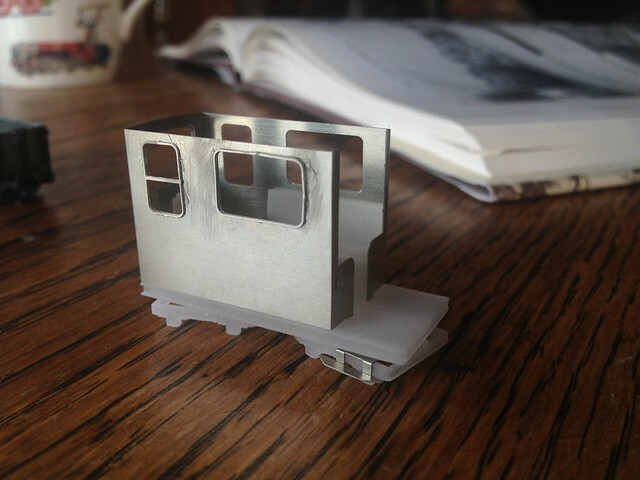 It has a 3D printed chassis and bogies all printed in one piece, of which more shortly, with etched body and details. So far it seems to be fitting together rather well, and appears to be a usefully quick project to get something new to market. This entry was posted in 009, industrial, kits, model railways, narrow gauge, new products. Bookmark the permalink. This looks SUPER pretty. If you can corner the market in RNAD narrow gauge stock I think you could have a small but fanatical customer base. Maybe one of these (which would probably go on a Peco N gauge chassis) and something a bit like this and you’d have the beginnings of a great range. Very nice…….I saw something similar lurking in Alan Keef’s yard a few years ago; I wonder if it’s the same one? I’ll have to bring the fold-up test track (yes, I’ve found it and the power lead!) along, it’ll be interesting to see if this vehicle will fit around the reverse curve (scale type 2 Hudson track panels) and through the rather tight steel-piling sided cutting. Actually I should really stop calling it a test track; only a limited range of stock will fit on it so it really needs its own dedicated stuff…….there will have to be a localised time warp in operation too, as the layout is nominally set just post WWII.